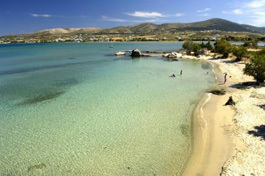 The key to your dream property in Paros, and in many other areas, is here! Paros Estate. since 2003, we undertake the SALE of houses, luxury houses, detached houses, old houses, commercial properties, hotels, plots, lands, lots, and the RENTAL of seaside luxury holiday houses, villas, houses, shops mainly in Paros and Antiparos but also in the rest of Greece, through its associates. Our office is located at the heart of Paros, Parikia, and it is shared with our associate, the architectural firm of architect Giannis Thalassinos, to provide you complete solutions for the best possible use of your property. We have selected properties that meet your expectations and your dreams.